Flame effects like the BEAST are fun to build and operate, but a more mellow, sustainable fire can offer an ongoing ambiance that the big stuff just can’t. 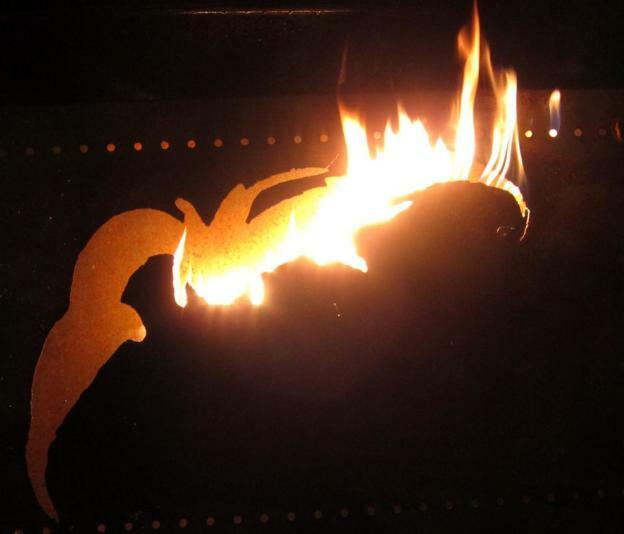 I had some old steel shelves lying around and decided to try making a flaming sign. For the pattern, I used the Sacred Bat, which is the symbol of my Burning Man camp Bat Country. I plan to give them this sign as a gift when it’s completed. As with anything I make these days, it will break down for easy transport and have a sturdy stand allowing you to set it up easily. The sign itself is an old steel shelf that I cut out with a plasma cutter. 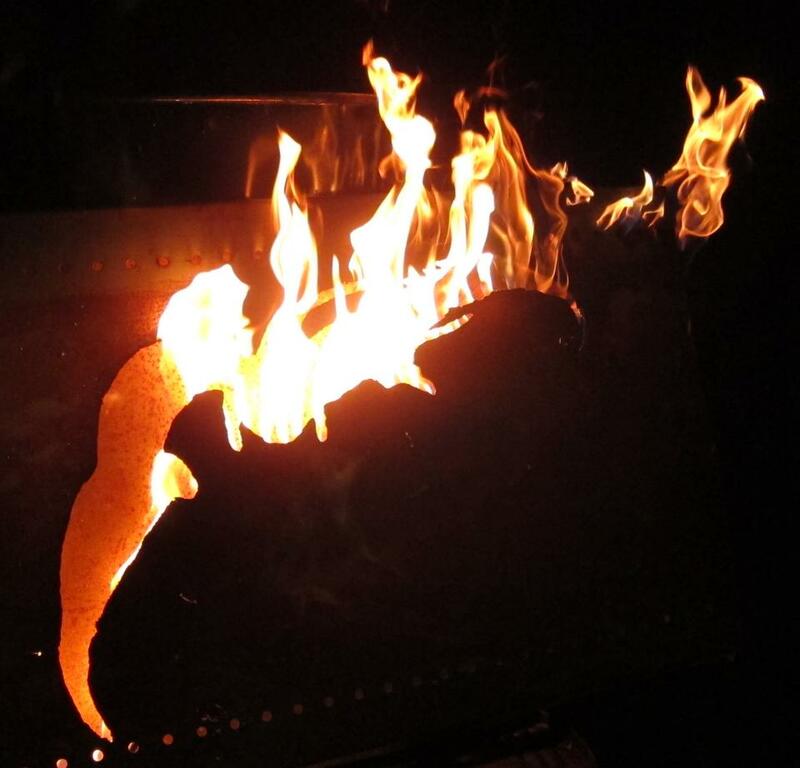 The flames come from 1/4″ copper tubing that I bent to follow the contours of the bat. There are holes drilled along the copper tube for propane to come out. The tubing is held in place with stainless steel wire. I used stainless steel because it won’t corrode when exposed to the elements. And by “elements” I mean fire. One of the problems of making a flaming pipe with holes is that the gas likes to escape the holes towards the beginning of the run more than at the end. So the fire at the start of the pipe is bigger than that at the end. This is easy to see in the picture below where I had the gas pressure turned up higher. I hope to fix this by blocking up most of the holes towards the start and maybe drilling more towards the end. The other way to mitigate this effect would be to supply propane at both ends of the copper tube, but I’m hoping to avoid this as it’s much more work. Not that the flames on one side are much higer than on the other. This entry was posted in In Progress... and tagged Art, Bat Country, Burning Man, Fire on November 29, 2014 by King Toad.